Summer vacations will start soon and have you decided how you want your child to spend those long days? There are too many summer ideas and activities for kids. Here are some ideas that your child might adore you for. They are fun, simple, cheap and great. So smile and say – heat!! Collect whatever you have at home – funny hats, bags, flowing gowns, clothes, pins, gloves, capes or strips of clothes and get started. Let your child dress you and you dress her. Dance around and have fun. Call some children over, have a musical party. Give whatever musical instruments you can and make them believe that they have to perform in a concert. Make paper tickets and sit like an audience. And there you go..see the smiles and enjoy the music. Bake something with your child. Or make a cooler drink or ice pops. A little bit to mixing this and with a little bit of that - Watch your child become a pro. What’s more? Bond up and clean together. Have fun activities for kids at home. Call some friends over and make easy to cook food, shakes and celebrate the summers. Tell a story in a dark room or play around, these are just some of the ideas for kid’s party. Collect coins or stamps, paint, draw and create something. It is a fun activity for kids once you know their skills and interests. Take up a sport like yoga, karate or play games like carom, chess, Pictionary and get active. Summer is long. Take your time to become a pro with your child. These were the indoor activities for kids, now let’s go out. 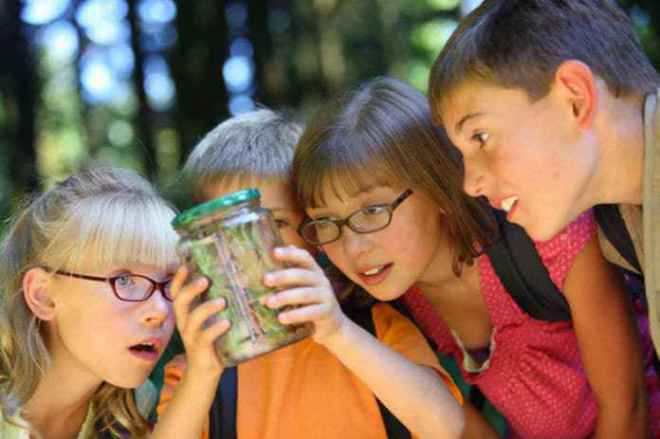 Following are the outdoor activities for kids that your child can enjoy this summer. Nothing like dipping in cold water. And with kids, it can be more fun. Go swimming and enjoy with family and friends with kids. Take them to a water park and see the joy on the faces when they dip and splash. Make it a fun day. It is one of the most enjoyable activities for kids. Order French fries and wear bowling shoes and off you bowl taking all pins out! Give your child a cheap camera or phone and ask her to go click. Tell her a theme and ask her to take pictures in the house or out. Make a scrap book of the pictures taken. They will love you for this. So let this heat not drain you down. Make this summer interesting by enjoying these activities for kids. These summer ideas for kids are simply great to bond with your child.